Old Spice came to Brazil and rescued the real Man Man. 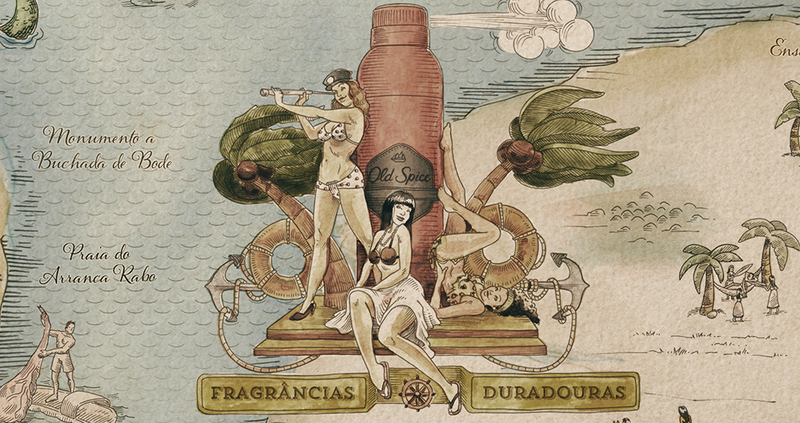 We won the Pitch to launch Old Spice in Brazil with the concept 'Deodorant of Man Man'. Every brand activation turn the call for the return of the man Man - The Manhood (Homenidade). We create many digital and direct marketing activations to spread the message. The website was an invitation to navigate through the seas of Manhood. This way, showing fragrances, videos and social channels. An interactive map in the shape of man biceps was the island. Map details: Only places where men can navigate. Northern Courage, Cape of Self Confidence, Cemetery Brake Hand, Strait of football, and many others played with the territories of the "man man". /OPEN. IF YOU'RE A MAN.